Purchasing for such items is already decentralized; empowering employees with buying authority can seem counterintuitive just when procurement is making inroads into consolidation. With new curation features of Amazon Business such as built-in custom messaging and product flagging, you can keep your purchasing programs on track. It’s becoming even easier to organize and reconcile orders made with your Amazon Business account. Now account administrators can set up custom fields for employees to enter specific purchase order details. 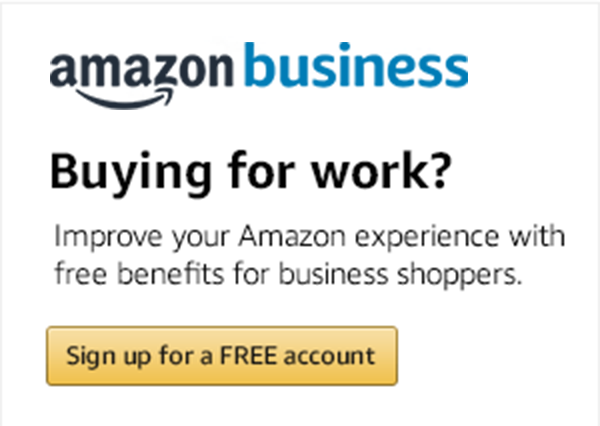 After you've created your new Amazon Business account, you’ll notice a few changes to your Amazon experience. Here are a few tips to help you get familiar with your new account. Amy MacPherson of Amazon Business will conduct four webinars in September for customers wanting to learn how to maximize the benefits of their business accounts.